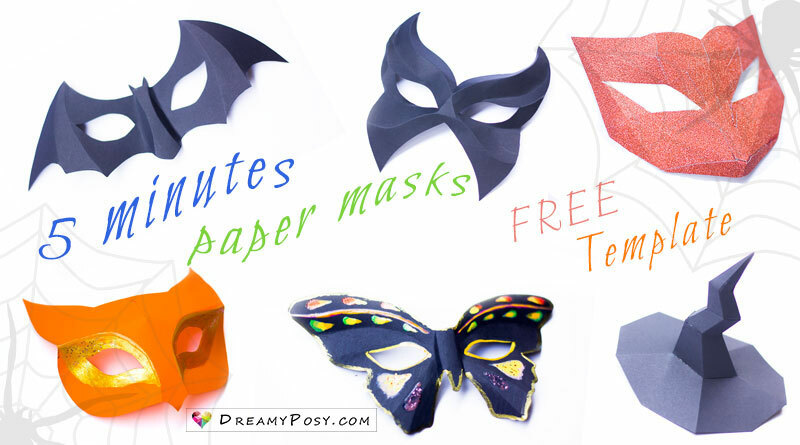 These are FREE template and tutorial for the 5 fast and easy paper masks, that you could make it at your last minutes before going to party. 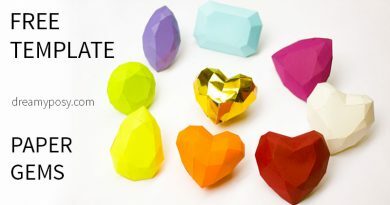 You could make these from just a piece of cardstock. Or you could use a box product and use a spray paint. 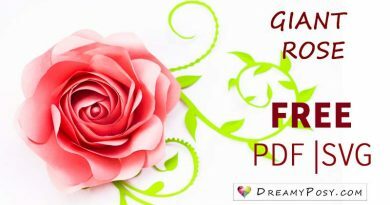 Download my free templates and print it out. If you don’t have a printer, just apply a copier paper on your screen and trace the template by a pencil. Cut the cardstock with the template solid lines. Score and fold the template dot lines. 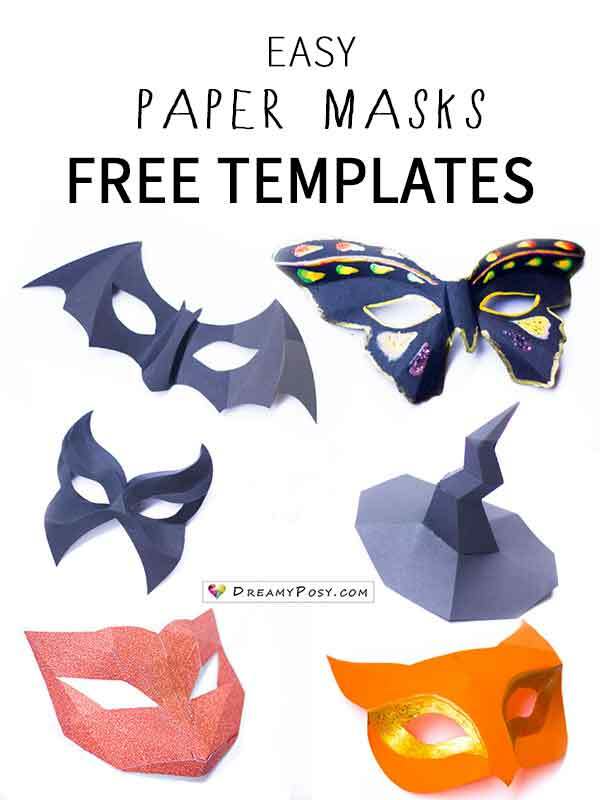 You could decorate the masks with any color and any style. 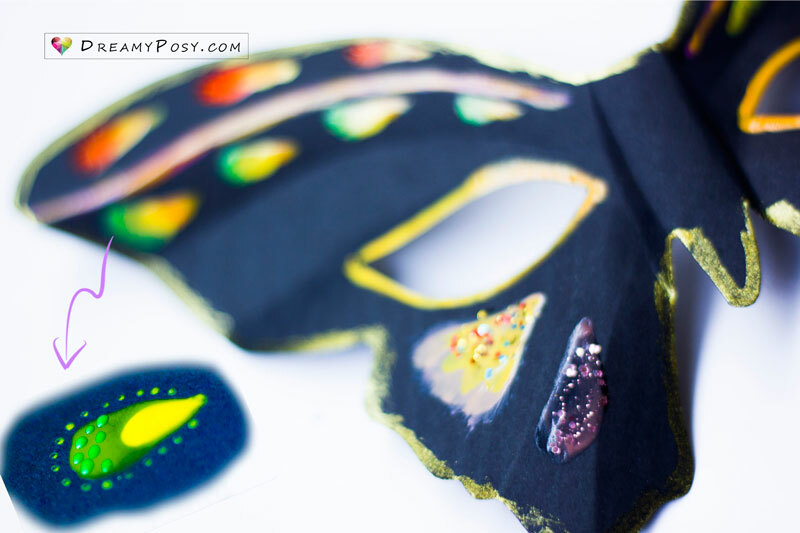 I use nail polish for this butterfly mask. 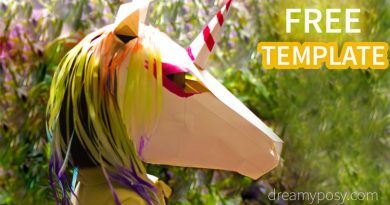 DreamyPosy.com’s TEMPLATES for butterfly mask, bat mask, moths mask, low poly mask, fox mask, small witch hat, adult witch hat. 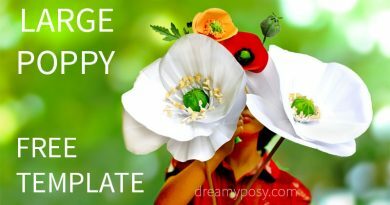 I love doing these simple crafts, and I would like to share it all with you for FREE. Please help to support me by your share, subscribe, comment and like. And I really appreciate if you consider to support me when you shopping with my Amazon affiliate links. Thank you and love you all.